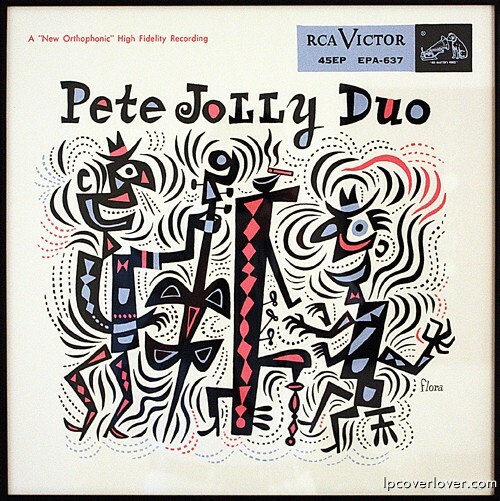 Pete Jolly Duo RCA Victor EP (1955) Jim Flora artwork available here. They look how I feel after that fourth cup! The use of dots is quite unique, nice !